Unless you’ve already dealt with the difficult ins and outs of the divorce process, you may find yourself meeting with lawyer after lawyer trying to find the right fit. While meeting with a potential family lawyer serving Wichita may be time-consuming, finding the right fit is the key to a faster, less-expensive divorce. Luckily, you can speed up the process of hiring a family lawyer by knowing what to look for ahead of time. You need to remember that divorce is a legal process in which you dissolve your assets and resolve custody issues. Consequently, your divorce lawyer’s job is to represent you to the best of his or her abilities. Even though this is an emotional time, your divorce attorney isn’t there to listen to your anger, frustration, pain and sadness. Using a family attorney as a therapist is a gross misuse of your money, as he or she won’t be trained to help you in that way. It’s much healthier to begin this process with realistic expectations of your attorney’s role throughout your divorce proceedings. Before you begin contacting family law attorneys, consider what you want from the divorce process. For example, you may be interested in other alternatives to traditional litigation, especially if you and your spouse don’t have children or considerable finances. In this case, working with a mediator may be a better way to negotiate the terms of your divorce. However, if your mediations are complicated, you may want to consider working with a divorce lawyer that can negotiate a settlement on your behalf. Not all lawyers are the same, so you don’t want to jump and hire the first one you meet with. You should interview with at least three attorneys before you make your final hiring decision. While every attorney you meet with should specialize in family law, your ideal attorney has the legal knowledge and experience to help you understand the process. 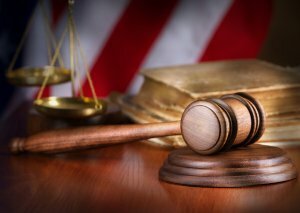 Your attorney should also have experience handling cases in your specific court system. 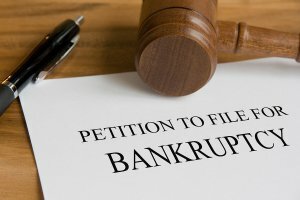 Petitioning for bankruptcy may be a long process, but with the help of a business lawyer in Wichita , it doesn’t have to be complicated. Filing for bankruptcy mostly involves filling out the paperwork correctly and approaching each proceeding in the correct order. Once you attempt to declare bankruptcy, a government employee called a trustee will examine your case. Before you file a bankruptcy petition, you need to assemble your financial information for your business lawyer. If you are married, you need to include your spouse’s financial information, even if he or she is not filing with you. To begin, you need to collect all debt information, including your creditor, current balance, interest rate, and your monthly payment. You should include all debt you currently owe, even if your payments are current. You should also provide your business attorney information on any income you have received in the past six months as well as any income you expect to receive in the future. At most, you must attend credit counseling from an approved agency six months before you file your petition. This usually only takes an hour or two, and can often be conducted over the phone or Internet. The court will not accept your bankruptcy petition if you forgo the counseling requirement. In addition to your business attorney, your credit counseling agency can help you determine which bankruptcy chapter is most appropriate for your financial situation. If you choose to file Chapter 13, the credit agency can also help you develop a payment plan. Once you file your bankruptcy petition, an automatic stay goes into effect. This prohibits your creditors from making further attempts to collect your debt. This means you creditors can no longer begin legal proceedings to collect your debt, enter liens against your property, or try by any other means to collect your money or property. However, the automatic stay won’t stop the automatic payments taken from your paycheck to cover your 401K loan. If you’re a business owner, you need to pay very close attention to your financial matters, including your tax payments. An IRS audit can be a stressful procedure, even with the guidance of a tax lawyer near Wichita . To reduce your chances of being audited, your business lawyer will advise you to keep meticulous records of all income, expenses, and other losses. Doing so can help you avoid making mistakes on your tax returns. To learn about the issues that could trigger an audit, consult your business tax lawyer and watch this brief video. This video explains why you might hesitate to claim more than $1,600 in charitable deductions, why you should never round figures for your deductions, and which types of business owners need to be especially cautious about the possibility of an audit. Bear in mind that the IRS selects some tax returns at random each year for an audit, regardless of how closely those taxpayers followed the rules. Always consult a business lawyer if you’re one of those unfortunate taxpayers. 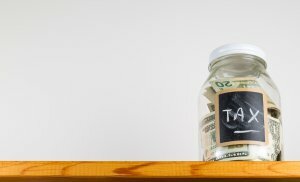 What Do You Need to Know About Tax Law? 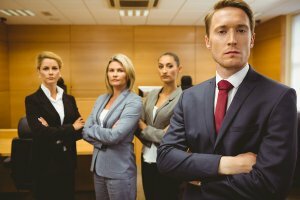 If you’ve already retained the services of a business lawyer in Wichita to manage affairs that involve corporate law , you’ve made a wise decision. Your business lawyer can ensure that your company remains in compliance with all relevant regulations and he or she can provide specific guidance on certain situations as they arise. However, it never hurts to familiarize yourself with the basics of the regulations that apply to your business, particularly tax law. Before reading these regulations, it can be helpful to have a basic understanding of common tax law terminology. You can find IRS regulations published in the Federal Register. Regulations serve as guidance for new additions to the tax code. They help taxpayers understand their obligations and how to remain in compliance with legislation . The IRS may also publish regulations to resolve any issues that may arise with already existing tax codes. Sometimes, a taxpayer or a business attorney might submit a written request to the IRS for information. For example, the taxpayer may wish to know how the IRS tax code applies to a particular transaction or other circumstance. In response, the IRS will issue a private letter ruling (PLR), which interprets relevant sections of the tax code for the taxpayer and helps the individual understand how tax laws are applicable to the situation. Provided the taxpayer fully and accurately informed the IRS of the situation and acts as instructed, the PLR is binding on the IRS. Like regulations, revenue rulings are a form of guidance issued by the IRS to help taxpayers and tax professionals understand how tax laws apply to certain situations. Revenue rulings are considered to be official interpretations made by the IRS. For example, a revenue ruling might explain how a taxpayer might deduct a home office. Revenue procedures are similar to revenue rulings. However, while revenue rulings provide information on the position of the IRS regarding a particular situation, a revenue procedure provides taxpayers and professionals with instructions. For example, a revenue ruling might explain the circumstances in which a home office deduction is allowed. A revenue procedure might explain how to determine the percentage of the home that is devoted entirely to business purposes and how to claim the deduction. Property ownership is the quintessential American dream and it’s often a smart investment decision, given that land typically rises in value. Yet, when you become a landowner, you are subject to a spectrum of obligations and liabilities. 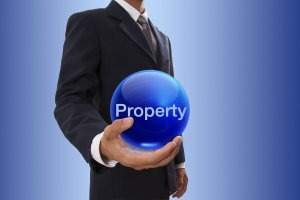 It’s a good idea to consult a property lawyer near Wichita to help you sort through the regulations. Your property attorney can offer expert guidance on matters related to land use law , since a misstep in this area can easily depreciate your property. A property attorney can also review property transaction agreements and identify ways in which you can minimize your taxes. For example, a property tax lawyer could help you defer your capital gain taxes by structuring the sale as a tax-deferred exchange. He or she can review your property tax bill and file an appeal if you might be paying too much. If you own distressed assets, it’s particularly important to work with a property attorney. He or she can manage issues such as restructuring, workouts, bankruptcy, and refinancing. It’s unfortunate that many individuals only contact a business lawyer when they have a legal problem. Partnering with a business law firm in Wichita sooner, rather than later, can help you minimize or avoid problems altogether. However, it isn’t always easy to select the right business lawyer to suit your needs. Plan on investing a little time comparison shopping to make sure the lawyer you choose is the right one for you. There are many different types of lawyers. If you need help with a very specific area of the law, such as laws that pertain to agribusiness or land use, it’s particularly important to select a corporate attorney with the right background. You can learn about a lawyer’s background by checking his or her website for a biographical area. Lawyers often list information such as which law school they graduated from and which areas of the law they specialize in. Many lawyers also list examples of cases they’ve worked on and their outcomes as proof of their successful track record. Many prospective law firm clients use information on lawyers’ websites to narrow down their list of possible choices. Once you’ve identified a few lawyers who appear to meet your criteria, you can schedule initial consultations with them. During these brief meetings, you’ll discuss your situation with the lawyer and ask any questions you may have that can help you make your decision. To get the most out of your appointment, spend a little time preparing for it. Gather together all of the paperwork that is relevant to your case; the lawyer may wish to review it. Develop a clear idea of your ideal outcome for your case and prepare a list of questions to ask the lawyer. Often, prospective clients ask questions about the approach the lawyer might take to the case, whether the lawyer will personally handle the case, and what outcomes the lawyer achieved on prior cases that were similar to yours. After you meet with the lawyer, you may wish to take a few days to evaluate the interaction before you make a hiring decision. Consider whether the lawyer appeared open to questions, whether he or she has the necessary experience, and whether you feel comfortable working with him or her. Unlike individual petitioners, businesses cannot file for bankruptcy without consulting with a business tax lawyer serving Wichita . Failure to seek business attorney representation can lead to charges of unlawful practice of law. However, before consulting with a lawyer, the business needs to gather certain pieces of financial information. In this video, a business attorney explains what kind of information a business needs to gather for its lawyer. For example, the business needs to collect copies of tax returns, profit and loss statements, accounts receivable, inventory, and the names and addresses of the creditors. The attorney uses this information to prepare the bankruptcy schedules and petition to file with the court. Thirty days after filing the petition, a trustee will look into the business’s assets, liabilities, and accounts receivable. The trustee will also review tax returns and income statements. 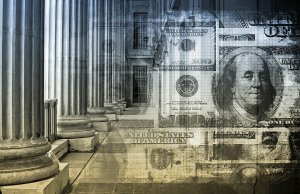 What Are Section 1031 Transactions? Section 1031 exchanges allow someone to trade investment properties on a tax-deferred basis. These transactions don’t have to involve identical types of property, so someone can swap an apartment building for a shopping center, or a piece of empty land for an office building. To ensure proper execution of a Section 1031 transaction, the filer should first meet with a business lawyer in Wichita . Section 1031 transactions were originally designed for someone to exchange properties of equal value, so that neither party in the exchange would have to pay taxes on the properties exchanged. However someone wishing to exchange unequal properties can still do so with the help of a business attorney. Someone who exchanges unequal properties can still make the transaction without having to pay capital gains tax on the difference. However, this person would have to pay cash or assume a mortgage on the bigger property to account for the value difference in the smaller property. In this case, a business lawyer may suggest working with an escrow agent, which turns the transaction into a three-way deal. Once the escrow agent obtains the title to the deed, he or she can then transfer the property back.